Since the dawn of time teachers and parents have been trying to make better connections between home and school. When parents ask their child "What do you have for homework tonight" the child either can't remember, or gives the default answer that they don't have any. Google Calendar can help solve this problem. 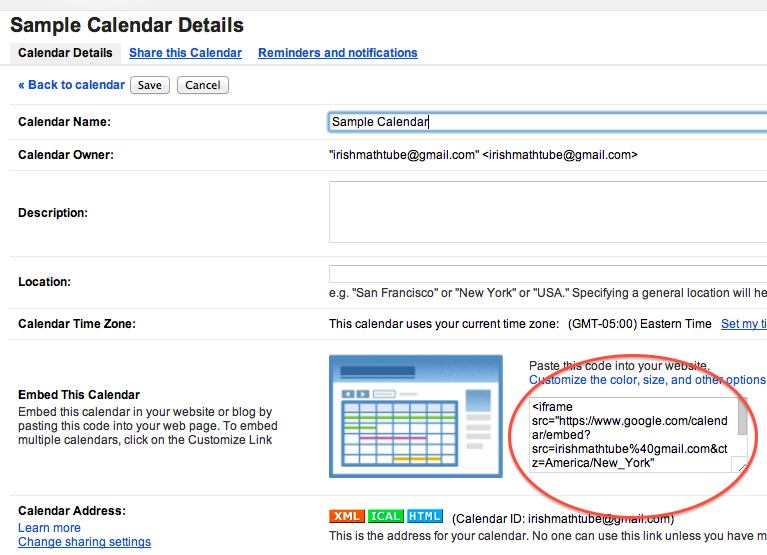 Google Calendar is a free online calendar website where you can keep your personal calendar, a shared calendar with a group of people who can all add to it, or a shared calendar with people where online one person can add to it. As a teacher with a Google Calendar you could create a calendar where you enter assignments and then share this calendar with students and parents. You could also embed the calendar with assignments into a classroom website. 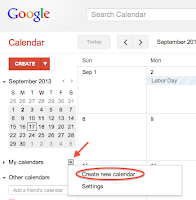 Below are the steps for creating a Google Calendar, steps for sharing the calendar with students and parents, and the steps to embed the calendar into a blog or website. 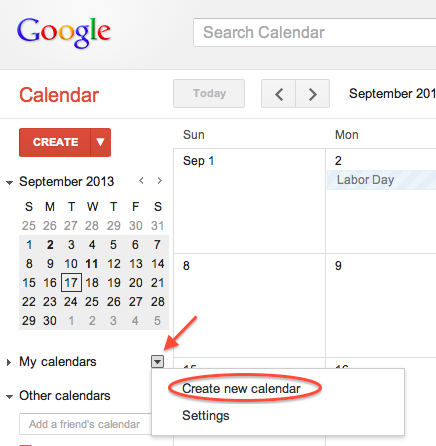 In order to create and share a Google Calendar you need to have a Google account already set up. If you don't have one, follow these directions. 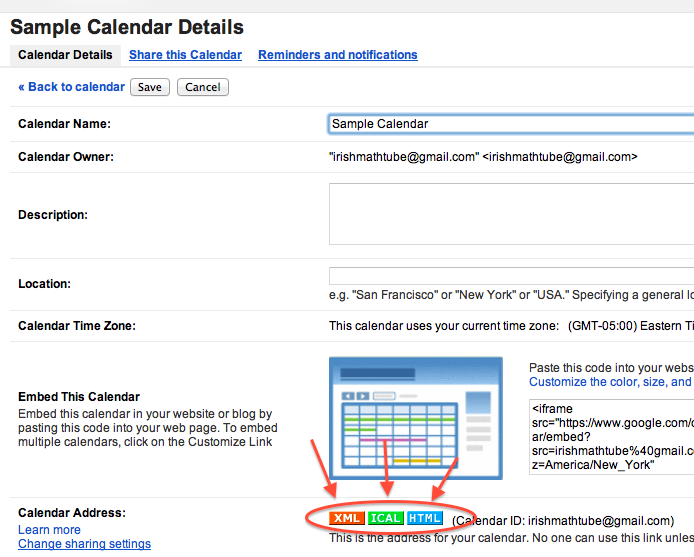 All of the calendars you create will be listed under My Calendars on the left side of your page. 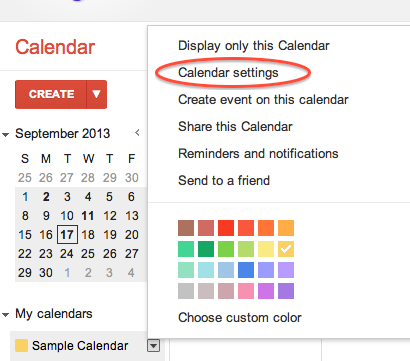 For each of the calendars, you can add, delete, and edit events any time you like. 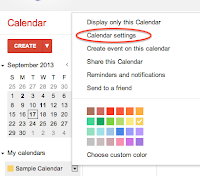 Please note that there's a limit to the number of calendars you can create at one time. If you're receiving an error message when creating additional calendars, please wait 24 hours before trying again. 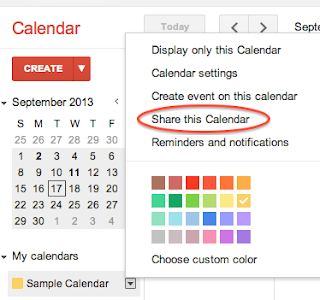 5) In the Calendar Address area select the way the user of the shared calendar user will view the calendar. 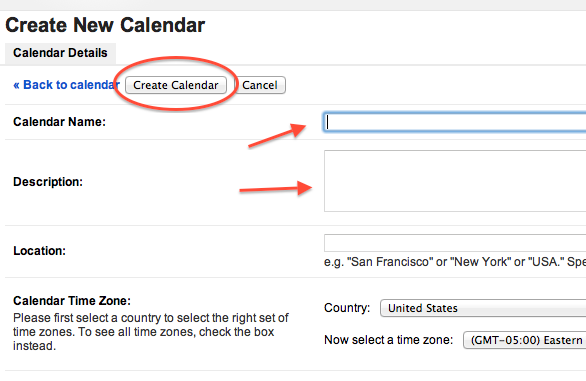 Select iCal if the user is going to view it in Apples program iCal. 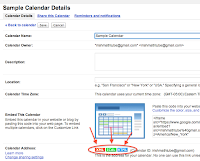 Select XML if the user is going to view the calendar in another calendar program. Select HMTL if the user is going to put the address into an internet browser to view the calendar. 6) Copy the address in the box that pops up and share this with the people you want to share the calendar with.